The Owner house has been vacant for several years because of its very dark history -- but a recent series of murders has taken the property to a whole other level of notority. A family who just moved in has been murdered, piquing the curiosity of a group of friends. Armed with handheld video cameras, the group decides to break in and investigate, leading to the worst decision of their otherwise fun-filled night. 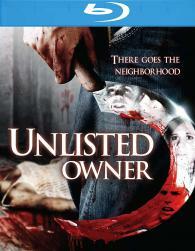 The resulting footage has been edited into the suspenseful 'Unlisted Owner.' We dare you to watch alone!